This chef is teaching teens the food business from the ground up – J. Ask three students in a Richmond afterschool culinary program what they like best about it, and they give three different answers: Learning about gardening. Learning money management. Learning how to work together. The high school students have been taking part in a new 14-week apprenticeship called “From Plant to Plate,” designed by Israeli-born chef Arnon Oren and gardening teacher Kelli Barram. 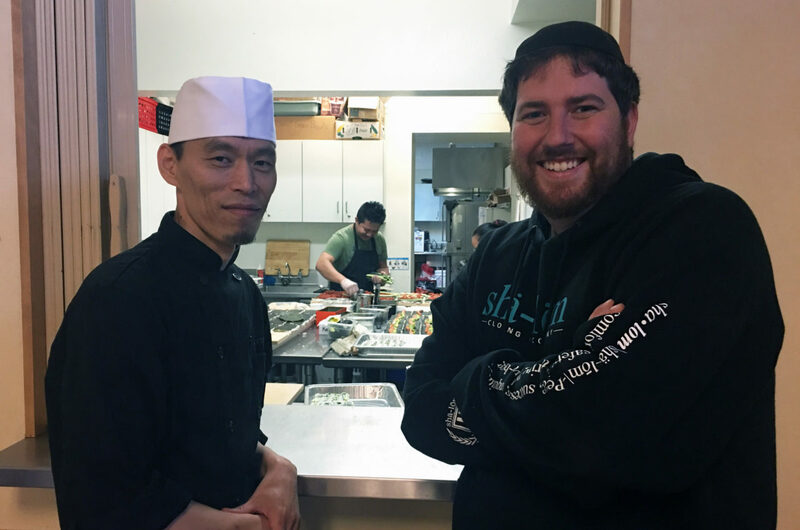 It includes not only culinary instruction but also teaches life skills and workplace habits — like being on time, cleaning up, taking direction, receiving feedback and working with others — that Oren said will translate to any field. The idea grew out of a desire to give back. 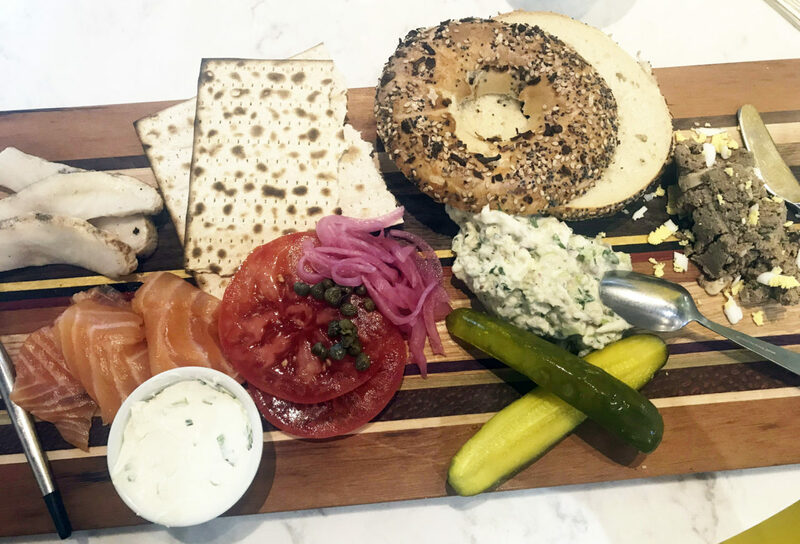 Two years ago when he moved his Berkeley-based catering business to Richmond (formerly known as Oren’s Kitchen, now as Anaviv Catering), Oren knew he wanted to do something special for the community. Giving back is nothing new for him; when he ran a flavored nuts business, Oren worked closely with the California Autism Foundation, providing jobs for adults in its day programs. So in February he launched his latest venture, this time with teenagers. Fifteen local high school students accepted into the free apprenticeship attend classes twice a week, sometimes held in the garden, sometimes in the kitchen. They also receive a small stipend. Oren said he and Barram received many more applications than there were available spots and called the students highly motivated. “All of them had this starvation for learning how to find and cook good, healthy food,” he said. 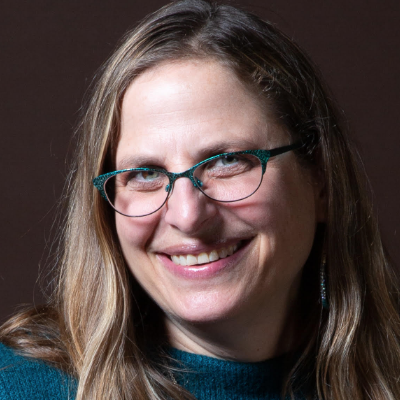 While Barram, who works for West County DIGS, a school-gardening advocacy organization, was happy to partner with Oren in planning the program, she was less enthusiastic about the fundraising piece. It was something she’d done for years and had seen funding for such nonprofit programs dwindle over time. Contributing his own seed funding, along with donations from longtime clients and the Whole Foods Foundation plus a grant from West County DIGS, the apprenticeship got off the ground. The students are being introduced to produce like fennel — and learning that it can be eaten raw, braised or roasted — as well as being taught foundational cooking skills, like how to braise a chicken. Of course, they also get to eat the fruits of their labors. “They are teenagers and are hungry all the time,” said Oren. The program will culminate in a dinner the students will prepare for their families using produce they have grown and cooked themselves. 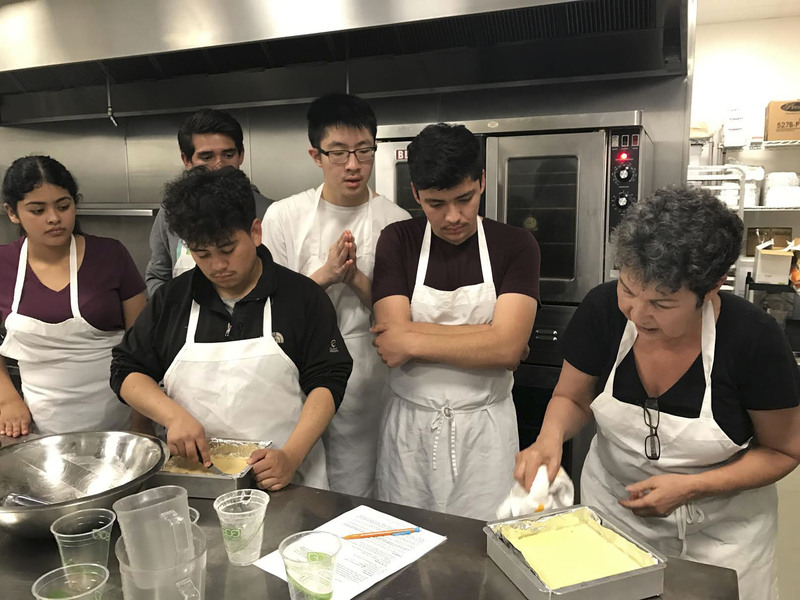 Oren has taught some of the classes himself but also invites guest chefs, like his friend Alice Medrich, a James Beard Award-winning author known for introducing the chocolate truffle to America, to teach the kids about baking. That’s exactly what happened last week, when Medrich taught the students how to make her tangy lemon bars. They worked in teams to prepare a dessert that none of them had ever tried before. Student Miguel Serrato said the class had motivated him to start cooking at home again, something he had done before. Ivan Herrera Perez said the gardening was his favorite part of the experience. Herrera Perez added that he had turned a small patch of land at home into a garden bed, where now he is growing a flower garden for his mother. He hopes it will remind her of him when he goes away to college. Sababa, the popular Financial District falafel shop that bakes its own pita, is opening a second location next month. According to Eater SF, the new location, on Commercial Street across from the Transamerica building, is a larger space, which will allow the company’s pita operation to greatly expand. Israeli American chef/partner Guy Eshel hopes to not only offer pitas to take home, but eventually to get them into grocery stores. In other news, a franchise of the Israeli chain called Burgerim has opened shop in Auburn. The chain offers mini-burgers in 200 locations in 16 countries, according to an article in the Sacramento Business Journal. The location, at 2785 Grass Valley Highway, was bought by local entrepreneur Brett Magorian, who was looking for his next investment. In my March 22 report on Joan Nathan’s new cookbook “King Solomon’s Table,” I neglected to include mention of Sarah Weiner as another local personality who contributed a recipe to the book. Weiner is the local founder of the Good Food Awards who contributed a recipe for shtritzlach, or blueberry buns. Weiner was featured in this column in June 2015 where she spoke of those same buns.